We would like to express our sincere gratitude and thank our entire wonderful keynote Speakers, Speakers, Organizing Committee Members, Moderators, Conference Attendees, Students, Associations, Media Partners, Exhibitors and Guests for their elegant speeches and for making Health 2018 a successful and memorable event. AAC hosted the International Conference on Cardiology and Cardiac Surgery on August 27-28, 2018 at Renaissance Heathrow London Hotel with the theme “Exploring Cardiological Research and Innovations”. Cardiac Surgery Conference 2018 was marked with multiple sessions, keynote presentations and panel discussions by the attendance of young and brilliant researcher’s, business delegates and elegant doctors and professors representing more than 12 countries, who have led this conference as one of the most successful and productive events in 2018. The Conference was initiated with a warm opening ceremony video. The proceedings went through interactive sessions and panel discussions headed by Honorable Moderator Dr. Jorge Zafra, Zafra Medical, UK for the Conference. AAC has taken the privilege of felicitating the Organizing Committee, Keynote Speakers who supported the success of this event. Cardiac Surgery 2018 Organizing Committee congratulates the awardees for their outstanding performance in the field of Cardiology and Health Management and appreciates all the participants who put their efforts in presentations and sincerely wishes them success in future endeavors. With the unique feedback from the Conference, AAC would like to announce the commencement of the 2nd International Conference on Cardiology and Cardiac Surgery. Bookmark your dates: We hope to see you at 2nd International Conference on Cardiology and Cardiac Surgery at Melbourne, Australia during March 25-26, 2019. Cardiac surgery 2018 Organizing Committee extends a warm welcome in inviting you to International Conference on Cardiology and Cardiac Surgery scheduled to be held from 27-28 August 2018 in London, UK. The live format of this educational activity will be accredited with CPD Credits. Alliedacademies welcome all the researchers, doctors, participants to make your presence felt at the conference. Cardiology conference provides insight into key concepts on recent advances in cardiology and cardiac surgery. Our Conferences deliver new ideas, convictions, strategies and tactics that directly affect how you do business. No other Conference will offer impressive roaster of Keynote speakers, quality attendees, and compelling content. Cardiac Surgery conference will provide every attendee with great opportunities to publish results, share the knowledge and enrich your professional network. We provide a platform to refresh your knowledge and explore the innovations in cardiology. The theme of the conference “Exploring Cardiological Research and Innovations “is to focus on exploring the challenges concerning excellence in cardiac surgery research and advancements. TheThree-day conference will include keynote presentations, expert talks, scientific sessions amid world-renowned experts and delegates. Hope to see you in London, UK. We cordially invite you to International Conference on Cardiology and Cardiac Surgery that is scheduled to be held from 27-28 August 2018 in London, UK. The objective of this conference is to educate people with recent innovations and advances in cardiology. 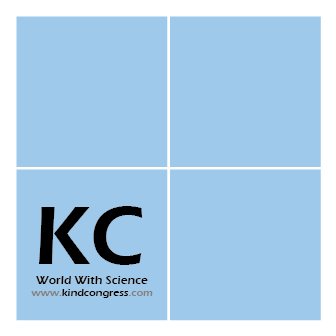 It units world-renowned experts, scientists and physicians to discuss the strategies and techniques in the field of cardiology. This conference invites participants from universities, research institutions, and diagnostic companies to share your explorations and research experiences on all related aspects of cardiology, providing a showcase of latest techniques and innovations. The theme of the conference “Exploring Cardiological Research and Innovations“ is to focus on exploring the challenges concerning excellence in cardiac surgery research and advancements. The International Conference on Cardiology and Cardiac Surgery provides a great platform for experiencing and refreshing your knowledge base amid world-class scientists and researchers. The attendees will conquer the latest advances, innovations and networking with professionals across the globe. Cardiac surgery is in limelight across the world. This is one of the most discussed topics with interesting concepts on recent technologies. This conference provides detailed information regarding various streams in cardiology. This is best opportunity to acquire knowledge from world-acclaimed speakers, professors. The Three-day conference will be a great domain for research scholars, physicians for learning advances in cardiac surgery. This conference includes seminars, poster presentations, paper presentations, workshops, tactics, and development of cardiac surgeries. Cardiology is a highly advanced area of medical research. London is a leading center for medical research and innovations. It provides world-class facilities and interesting career opportunities for people across the globe. Cardiovascular diseases (CVD) remain the leading cause of mortality in Europe. The European Society of Cardiology is going to organize ESC Congress, the world’s biggest gathering of heart specialists at London in 2021. Recently, The Mayor of London, Sahid Khan stated they are going to invest record amounts to prevent heart diseases among Londoners. 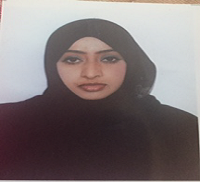 Thereby decreasing the cases of patients related to cardiac problems. Cardiology is one of most viral fields of medicine. As the number of people with cardiac disorders is on a hike in the forecast period, research in this area is advancing daily. The field includes medical diagnosis and treatment of various cardiac diseases and disorders. 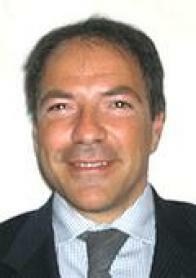 The European market is mainly driven by increasing adoption of surgical methodology in cardiology. Cardiology and Cardiac surgery conference include broad spectrum of topics in the field of cardiology with the primary focus on innovations and technology. Allied academies invite all the Cardiologists, Cardiac surgeons, Researchers, Cardiac device Manufacturers, and all the people related to cardiology to participate in the conference and mark your presence. EMEA: European Society of Cardiology; British Cardiovascular Society; European Atherosclerosis Society Russian Society of Cardiology; British Cardiovascular Society; Cyprus Society of Cardiology; Egyptian Society of Cardiology; Icelandic Heart Association; Acute cardiovascular care association; British Heart Foundation; World Heart Failure Society; Austrian Heart Foundation; British Hypertension Society; Luxembourg Society Of Cardiology; Association Of Cardiologists Of Bosnia and Herzegovina; Belorussian Scientific Society Of Cardiologists. The cardiac surgery market was USD 1.16 Billion in 2017 expected to reach USD 1.63 Billion by 2022 at a CAGR of 7.1%. Major factors driving the growth of this include growing prevalence of cardiac conditions and the subsequent increase in the number of surgical procedures, rising geriatric population, and growing investments, funds, and grants by government bodies worldwide. However, factors like the adoption of alternative surgical methods and lack of Medicare payments may limit the development of this market. Innovative advancements and research are being made in cardiac surgery procedures and techniques. Cardiology and Cardiac surgery provide a perfect platform for the cardiologists and cardiac surgeons to share their experience and introduce various innovative ideas to researchers, physicians, manufacturing companies. Approximately cardiovascular disease accounted for 14% of total health expenditures in 2013-2014. This is being the major cause of deaths across the globe. In 2012 and 2013, CVD was estimated to result in 17.3 million deaths worldwide on an annual basis. 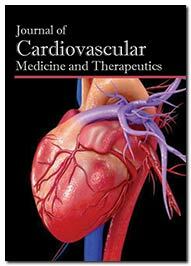 This track includes all topics related to vascular cardiology. According to recent studies, Frequent migraines may expand the danger of cardiovascular diseases such as heart attacks, stroke, blood clots and an irregular heartbeat. Therefore, migraine ought to be viewed as a strong and persevering danger factor for most cardiovascular diseases. EUROPE: Overall CVD is estimated to cost the EU economy $264 billion a year. Of the total cost of CVD in the EU, around 53% is due to health care costs, 26% to productivity losses and 21% to the informal care of people with CVD. USA: By 2035, >130 million adults in the US population (45.1%) are projected to have some form of CVD, and total costs of CVD are expected to reach $1.1 trillion. Stroke prevalence in adults is 2.7%. In 2013-2014, the annual direct and indirect cost of CVD and stroke was estimated to $329.7 billion. Major congenital heart disease is a very serious condition and only 15% of children survived infancy prior to the surgical era. Now over 85% of children survive into adulthood and, for the first time, there are now more adults alive with congenital heart disease than there are children. Caring for these patients has led to the development of ‘adult congenital heart disease’ as an emerging specialist area. 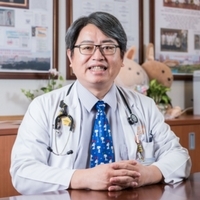 Surgery has become increasingly specialized and technically demanding with a trend to repair lesions at an earlier age and to aim for complete anatomical repair in infancy rather than a series of staged procedures. Over two-thirds of all procedures are now carried out before the age of 1 year. Coronary heart disease is believed to start with injury or damage to the inner layer of a coronary artery. This damage causes fatty plaque deposits to build up at the site of the injury. 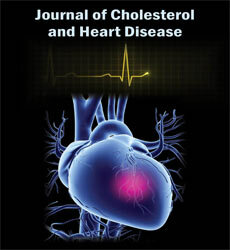 These deposits consist of cholesterol and other cellular waste products leading to a condition called atherosclerosis. The clogging of arteries reduces the supply of blood to the heart. CHD can cause serious complications such as sudden heart attack. Cardiology and Cardiac Surgery conference provides insights on the recent complications and techniques in treatments with the world-renowned cardiologists and cardiac surgeons. Hypertension and heart disease are global health concerns. According to World Health Organisation(WHO), the growth of processed food industry accounted for the major number of Hypertension patients across the globe. While undetected, hypertension can cause damage to the cardiovascular system and internal organs, such as kidneys. There are cases where some young people with prehypertension developed hypertension in later stages of their life. They have high cardiac output, an elevated heart rate, and normal peripheral resistance during their early stages. There are several factors which are responsible for the high blood pressure. This includes dietary habits, mental stress, physical exercise etc. Toxicity to the component parts of the cardiovascular system can lead to death or devastating irreparable damage to the normal functioning of the organ systems of the human body. Many industrial and pharmaceutical chemicals can exert toxic action on various components of the cardiovascular system. Chemicals that target the heart are classed as cardiotoxins and can exert their effects directly or indirectly. The dosage and exposure period influence the effects these chemicals may exert on the heart. Cardiotoxins can alter the heart functionally or structurally. Cardiac toxicity is also caused due to cancer treatments such as chemotherapy, targeted therapy, radiation therapy. Cardiology and Cardiac surgery conference serve as a novel platform for basic investigation, essential examination and a potential avenue for understanding the anticancer therapies and practices related to cardiovascular research and drug discovery. This focuses on cardio oncology advances that are helpful for researchers, drug developers, cardiologists, radiologists, surgical oncologists, internists, geneticists, epidemiologists, healthcare scientists, cardiac surgical equipment manufacturers. Cardiology and Cardiac surgery conference include new technology innovations for cardiac diagnostic systems or techniques. It provides a platform to revolutionize medical imaging and healthcare through ultra-fast cloud computing, advanced visualization, and deep learning. New tests using advanced technologies are continually being developed for further understanding of the disease, injury, and congenital or acquired abnormalities of the heart. Cardiovascular diseases, as the foremost health care problem in the developed countries, impose a tremendous economic, social and emotional burden on societies. The diagnosis of the disease is very crucial for the patient to undergo further treatments. Treatment of cardiac diseases and disorders vary based on the condition of the heart. 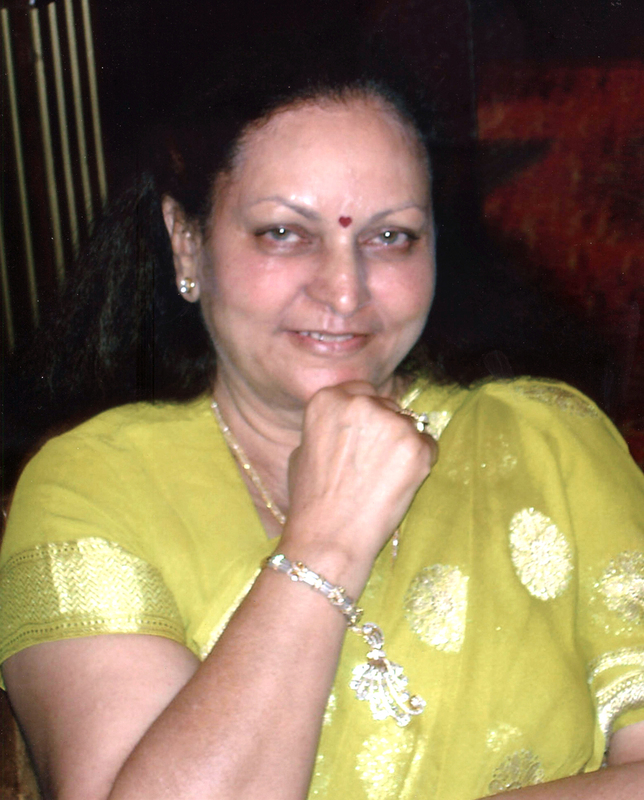 The treatments include usage of stents, pacemakers, defibrillators etc. According to NIH, Angioplasty is performed one million times every year in the United States. Treatment aims to resolve the problem, relieve symptoms, reduce the risk of the condition recurring or worsening and prevent complications. There are various surgical procedures performed by the cardiac surgeons to treat a disease. 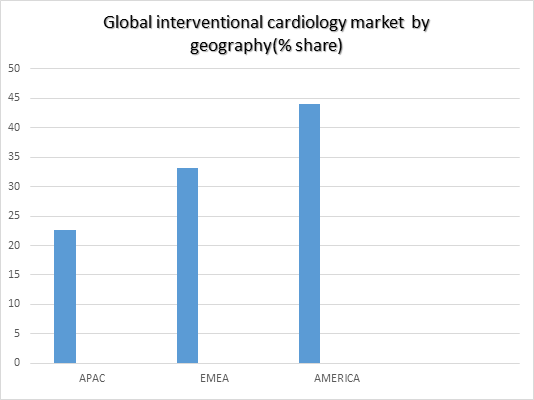 The global cardiac rehabilitation market is estimated to reach USD 2.52 billion by 2025. Rising rate of lifestyle-associated diseases such as cardiovascular diseases, diabetes, and obesity contribute significantly to the growth of cardiac rehabilitation. Cardiac rehabilitation programs have become a necessary aspect of the standard of care in modern cardiology. Cardiac rehabilitation is an important component in the process of care for individuals with cardiovascular disease, providing a multidisciplinary education and exercise programme to improve morbidity and mortality risk. Cardiovascular diseases are a leading cause of hospitalizations and death in the United States and various countries across the globe. The cardiac drugs are used to treat conditions of the heart or the circulatory or vascular system. Developing new therapeutic agents for cardiovascular diseases has always been the priority for the pharmaceutical industry. This is because of the huge potential market for these drugs. There are 120 companies in the USA that are making cardiac therapeutic agents in cardiology. 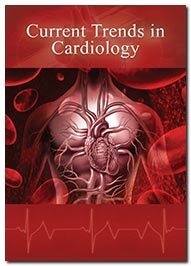 The case reports on cardiology gives an appropriate convention for all the cardiologists by rendering their important clinical instances of late occurrence. Cardiac amyloidosis has been considered as the rare disease for a long time. These patients die out of heart failure. Recent developments in therapeutic interventions have improved survival of patients with cardiac amyloidosis. Case reports on various complications faced and the pathway of treatments play a vital role in exchanging the information. The advances in the field of cardiology are rapidly increasing. Research on various categories such as diagnostic methods, treatments, etc is in a continuum to the occurring cases of cardiac diseases and disorders. Research is being done in reducing cardiac risk among pregnant women. Cardiology and Cardiac Surgery conference includes discussion about the latest advances and technologies related to cardiology. This will provide awareness regarding the current research topics. Cardiology and Cardiac Surgery conference cover the broad field of cardiac nursing including chronic and acute care, cardiac rehabilitation, primary and secondary prevention, heart failure, acute coronary syndromes, interventional cardiology, cardiac care, and vascular nursing. Cardiac nurses perform postoperative care on a surgical unit, stress test evaluations, cardiac monitoring, vascular monitoring, and health assessments. Cardiac nursing is a very important aspect for the patients who have undergone the surgical procedures. New advances and techniques in cardiac nursing are coming up and research has been carried out across the globe. The scientific goal of this track is to understand the underlying causes of obesity, diabetes and associated metabolic diseases. Investigators in this division also have a special emphasis on pursuing effective and safe interventions and therapeutics. Over the threshold level of cholesterol, diabetes causes blockage of heart valves thereby causing cardiac diseases. Therefore, good dietary practices should be maintained by people. Globally, the number of Cardiac surgeries performed has increased tremendously over the past 5 years. USA: By 2035, >130 million adults in the US population (45.1%) are projected to have some form of CVD, and total costs of CVD are expected to reach $1.1 trillion. Stroke prevalence in adults is 2.7%. In 2013-2014, the annual direct and indirect cost of CVD and stroke was estimated to $329.7 billion. According to Industry statistics and market size, the revenue generated through Cardiac procedures is $44bn with an annual growth of 2.1% from 2012 to 2017. The global market for cardiac surgical devices is expected to grow from nearly $37.0 billion in 2015 to $57.2 billion in 2020 at a compound annual growth rate of 9.4% from 2015-2020. Globally Cardiac surgery devices market size is estimated to obtain a hike between 2017 to 2027 at CAGR of 3.7%. 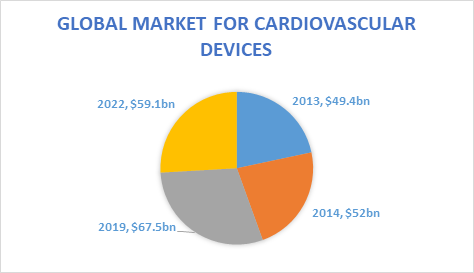 The global market for cardiovascular devices reached nearly $42.4 billion in 2017 and estimated to reach $59.1 billion by 2022, at a compound annual growth rate (CAGR) of 6.9% for the period of 2017-2022.